Orchestra of the Royal Opera House / Lothar Koenigs. Royal Opera House, London. Saturday, October 10th, 2015. Bayerisches Staatsorchester / Kirill Petrenko. Bayerische Staatsoper, Nationaltheater, Munich. Saturday, October 17th, 2015. Two performances of Ariadne one week apart in two separate cities and both offered much that was appetizing. 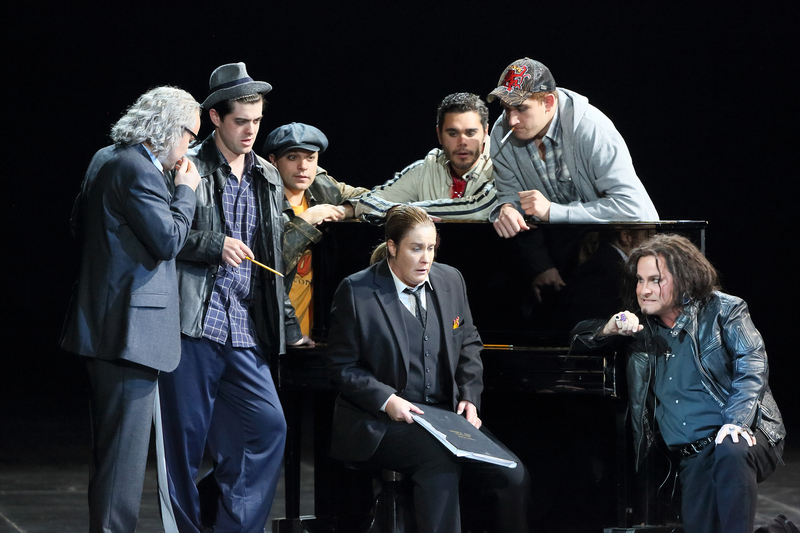 Munich was to have been the stage debut of Anja Harteros in the title role but, as with the concert performance in Berlin last year, she withdrew and was replaced by a very exciting young US soprano. In London, in a fall season dominated by a two-month long revival of Carmen, the trio of performances of Ariadne offered the opportunity to once again enjoy the great Karita Mattila stranded on her wüste Insel as part of a very fine cast. 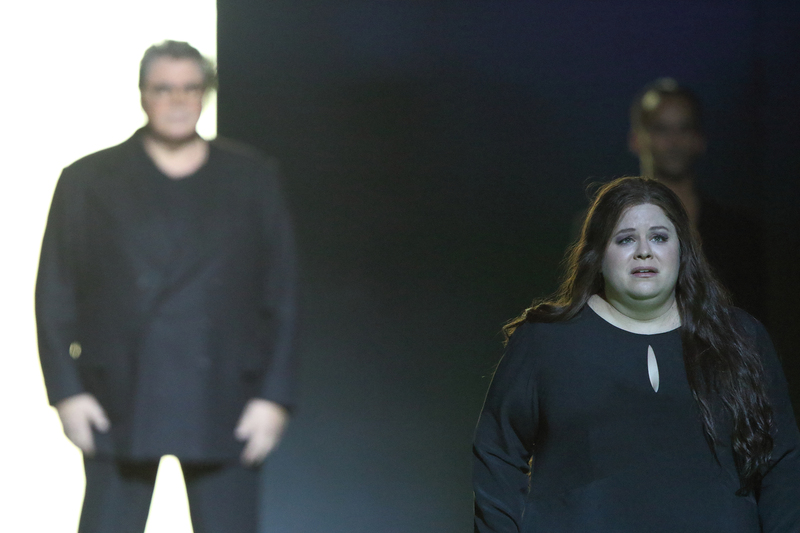 Mattila’s Ariadne has grown even more in greatness than in her performances last year. It’s not a bel canto Ariadne and somewhat rough around the edges. Yet Mattila is such a consummate singer-actress that she builds that into her performance, giving us a heroine of flesh and blood and real emotions. Yes, of course some will be dismayed that she inserts a breath into ‘ein Schönes war’ but then as the voice opens and soars in the following phrase, the sound is so big, so elemental, as if coming from the very core of her body that one cannot fail to be moved. The registers aren’t quite integrated but her lower register is admirably full and the top has that combination of duskiness and lunar beauty that is her trademark. She communicated so much, even when not singing, and her use of text was marvellous. I very much hope that this is not the last time we will hear her in the role. Amber Wagner is most certainly a major new talent. The owner of a large, voluptuous and plush soprano, the voice has wonderful roundness and evenness throughout the range. Her Ariadne was well-schooled with great attention to detail and the voice was used with intelligence and fine breath control. Intonation in the middle of the voice is an issue. The core of the sound doesn’t quite sit on the note, sometimes sharp at other times flat. She’s very young and hopefully this is something that she can work on because she really does have a fabulous instrument. The top blooms wonderfully and fills the house admirably. Her diction was clear and with time I trust she will also learn to make even more of the words. The sound in fact reminded me of a certain Augusta, Georgia soprano who was also known for her Ariadne. Wagner is a singer of considerable potential. 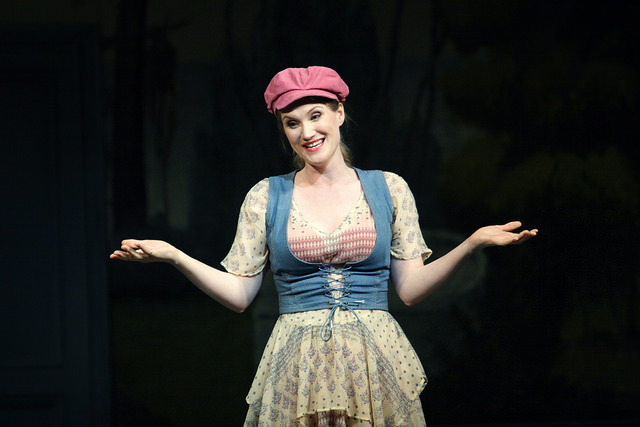 Jane Archibald gave us a sensational Zerbinetta. The voice free and easy right up to the very top but what she also knew how to do was to manipulate the runs and trills so that they were used to perfectly illustrate the character’s situation. Her big number was a knock out but she also sang ‘ein Augenblick ist wenig’ with real feeling. Brenda Rae likewise gave us a Zerbinetta for whom the tessitura held no terrors. I’m not completely convinced that she has a genuine trill but she negotiated ‘großmächtige Prinzessin’ with real aplomb and sheer unforced virtuosity – simply marvellous. Both she and Archibald are highly amusing and charismatic performers. Robert Dean Smith gave us a highly creditable account of his ungrateful role. He lasted the course superbly without a hint of strain. If the voice lacks a little body, he more than makes up for it in freshness and stamina. Peter Seiffert likewise was a highly secure Bacchus, a slight rawness at the very top and the odd patch of shaky tuning were very small blemishes on a highly musical and impressively-sung performance of an incredibly difficult role. He, like Smith, was absolutely tireless. 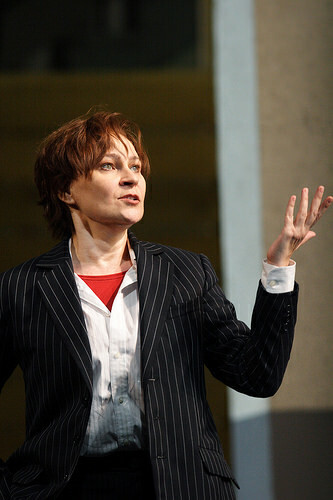 Ruxandra Donose’s Komponist impressed by her no holds barred vocalism. The part lies high for her and she was often flat but she sang with such abandon that one was completely won over. For Alice Coote the intonation was spot-on and the voice was absolutely effortless right up to the very top. She sustained the challenging tessitura impressively and gave us a highly musical and lyrical performance. In the London supporting cast, I was deeply impressed by Thomas Allen’s Musiklehrer who gave us a lesson in how to manage the voice despite the passage of time. It was clear that he was husbanding his resources but at the same time, everything was so absolutely musical that it sounded completely right. Nikolay Borchev sang Harlekin in a compact, somewhat grainy baritone with a decent legato. The trio of nymphs was very fine – Karen Cargill’s piquant mezzo blended nicely with her colleagues and Sofia Fomina is clearly a singer to watch with her gleaming top and easy musicality. In Munich, Markus Eiche’s Musiklehrer was sung in a nicely rounded baritone and likewise Elliot Madore’s Harlekin was sung in a nicely burnished baritone with a good legato. The gentlemen’s ensemble was terrific and nicely blended; the ladies struck me as sounding more like a trio of soloists than a well-balanced trio of nymphs. Kirill Petrenko was greeted by an enormous ovation at the final curtain. He led a lyrical reading that was nicely-paced and didn’t draw too much attention to itself. It was extremely well-played by the Staatsorchester and he achieved transparent playing of great delicacy when required. Lothar Koenigs brought out much detail that often goes missing and likewise led a reading that was nicely paced. Often the final scene drags horribly but in both these interpretations, it was kept flowing at a sensible tempo. The only downside, as is so often the case on Bow Street, was the raw string intonation of the Covent Garden band. It was a privilege to be able to two see two very different exponents of the title role within a week. One at the outset of her career with so much promise ahead of her giving us a well-schooled performance, while the other, in her vocal Indian summer, giving us the fruits of her experience in an emotionally devastating interpretation. Mattila gave us a transcendent, career-defining performance, one that will be marked forever in the minds of those who saw it. For Wagner, this is the beginning, the raw talent is most definitely there and the refinement will hopefully come with time. Both were very special experiences.